As a Platinum Partner for Constant Contact, 3cubed have just received a special offer that we’re passing on to our clients. Through the end of July, 3cubed clients purchase a Constant Contact Basic or Essential package, will get 40% off for 3 months*. *This offer is valid only for 3cubed clients in Australia and New Zealand and you must enter promotional code SP40DISC at checkout for this discount to apply. Clients already having a trial 3cubed Contact Contact account can simply purchase at the checkout. Clients without a Constant Contact account can sign up to a special 3cubed 60 day trial account and then take advantage of this offer by clicking on the image below. 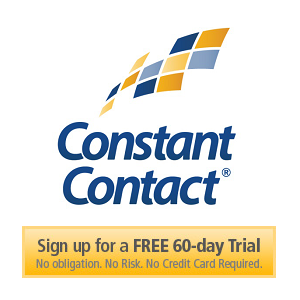 Want to learn more on how Constant Contact integrates with GoldMine CRM? Click here.